With a focus on full turnkey color cosmetics, World Wide Packaging installed special vanities that visually complemented three distinct collections. Taimeng Beauty’s novelty ice cream cone lip gloss. Kristen O’Connell, Roberts Beauty, explains one of their new multi-level compacts. Squeeze Yonwoo/PKG’s dropper tottle —and it recovers. Ding Yih luxury bottles featured silver ball-shaped applicators. K-beauty brand Missha uses Yonwoo/PKG’s Ice Tube for its Aqua Peptide Ice Soothing Ball, to soothe skin flare-ups. At Wista, decorative capabilities include 7-color deco with relief, for textured designs. 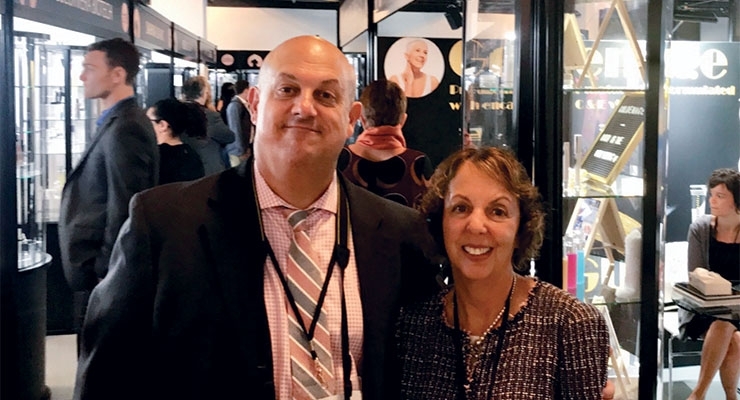 Beauty executives flocked to the eighth edition of the MakeUp in NewYork show, despite the humid, rainy weather that was the definition of a “bad hair day.” The show was 10% larger this year, with 110 exhibitors. 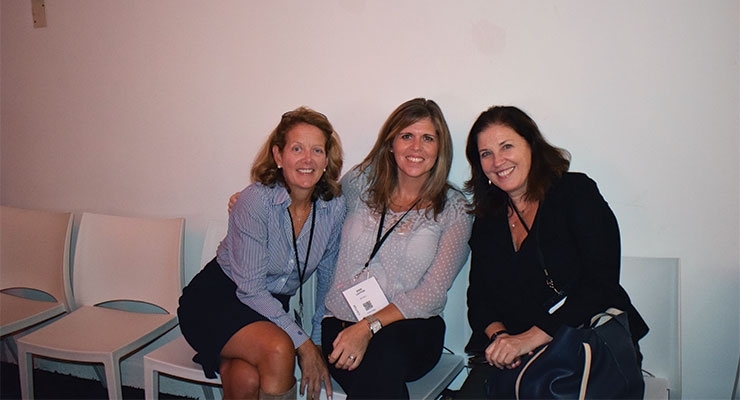 Guests navigated the crowded, winding aisles at Center 415 on Fifth Avenue—with 1,100 attendees walking through its doors. 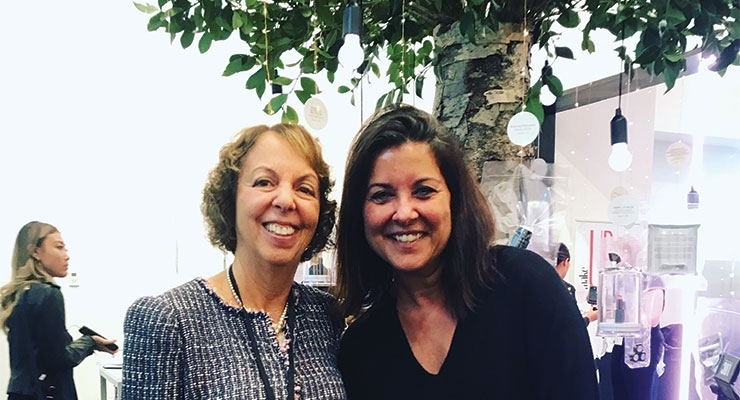 “There was a focus on innovation in colors and trends this year,” said Sandra Maguarian, co-founder and show director, MakeUp in NewYork (see this video interview with Maguarian). Skincare is also a growing category at the show, with suppliers showing many options for makeup-skincare hybrid products. The Innovation Tree stood at the entrance, once again, and featured this year’s stand-out products. Take a look at this year’s Innovation Tree winners on our website. Many of the exhibiting suppliers this year emphasized their turnkey capabilities. 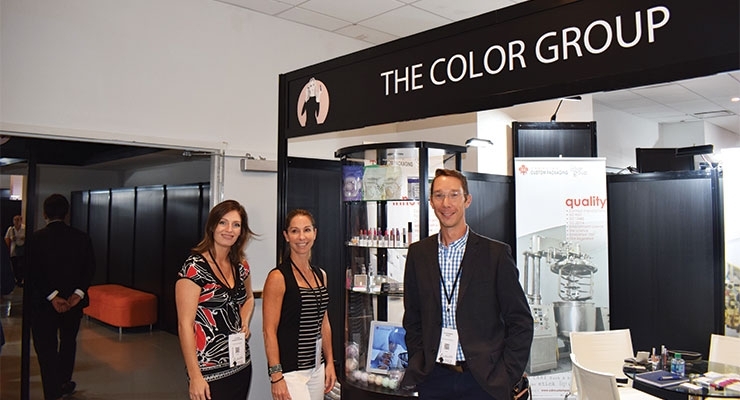 ColorVera Biotech Group (featured in this video), a first-time exhibitor, is an OEM and ODM complete turnkey provider that drew lots of interest at the show, particularly from Indie brands. 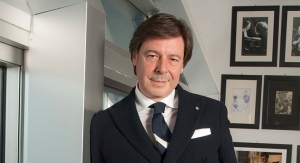 Headed by president and CEO—and industry veteran—Vincent Groccia, ColorVera Biotech offers full turnkey solutions for cosmetics, skincare, nail products and fragrance. There are currently two plants in China, with an additional one in the works, as well as one coming in both Milan and the U.S.
Lady Burd Cosmetics featured its new full-coverage matte foundation makeup, available in 13 shades. It can be supplied turnkey, in a convenient tube package, fitted with an airless pump. 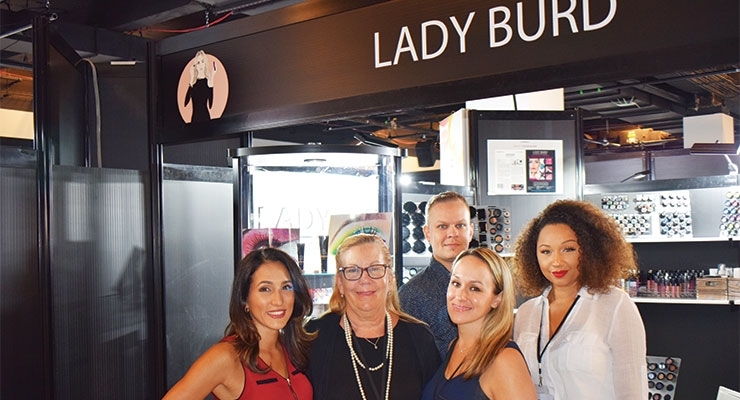 All types of makeup in matte finishes, including foundation, are often requested, according to Barbara Silverman, business development, Lady Burd Cosmetics. “Brands are always looking for matte finishes—and in lots of colors,” she says. (See Silverman explain more here in this video.) Makeup that includes ingredients that are good for the skin is also a trend, and Lady Burd’s foundation includes Argon oil and Vitamin E. The supplier also makes a complimentary full coverage undereye concealer. 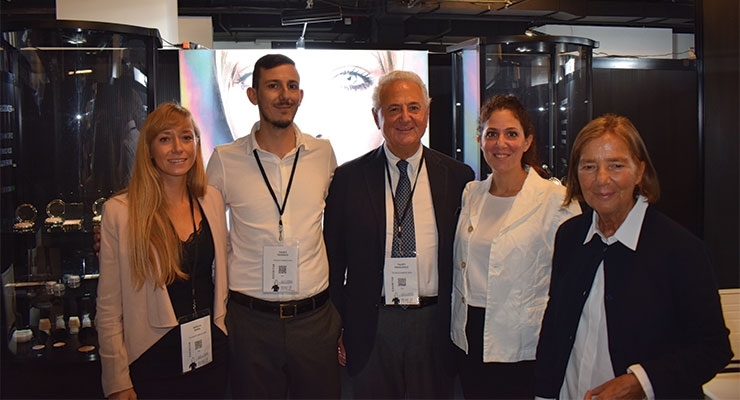 It was all about 2020 trends in color cosmetics at Swan Cosmetics de Mexico, a private label manufacturer that promoted its turnkey capabilities. The supplier offers formulations and packaging, and can provide a wide range of decorating services. 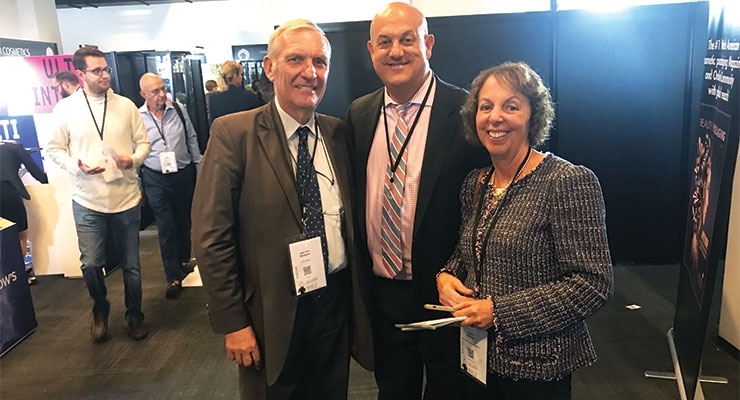 Alfonso Rodriguez Pena, director of sales, Swan Cosmetics, showed Beauty Packaging an array of products available as turnkey solutions. (Watch as Pena speaks to us here.) 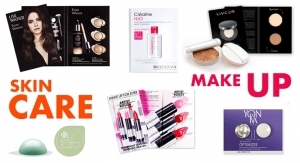 Options include long-lasting formulas, propel-repel packages, and triangular shaped lipstick and brow packs. One highlight was a neon body product. Plus, there was a “create your own tattoo” formulation that glows in black light. 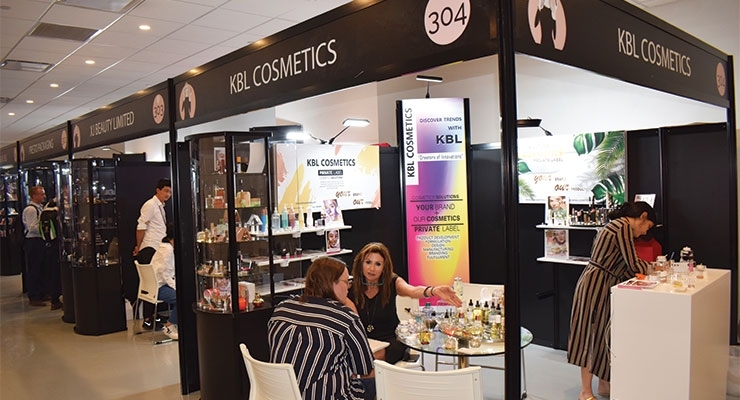 KBL Cosmetics, a specialist in contract manufacturing and private label for personal care and cosmetics, say its turnkey services provide top-of-line innovation, product development, full-circle testing and manufacturing—from the very beginning to the finished product, even fulfillment. 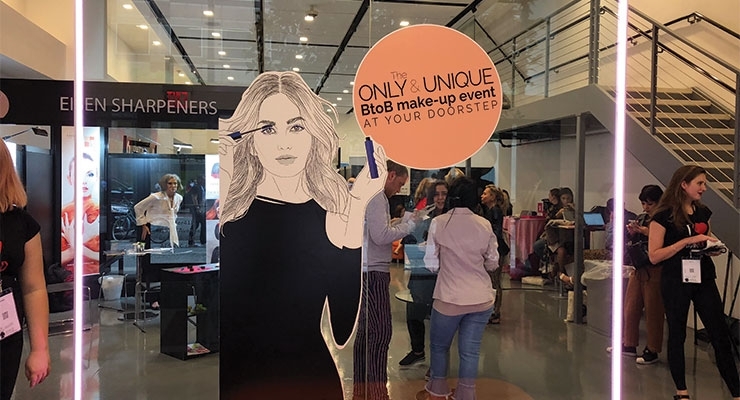 New items on display included a powder-to-liquid primer, powder-to-cream foundation, chrome metallic eyeshadow, a 3-in-1 face brush, and a 4-in-1 makeup pencil. 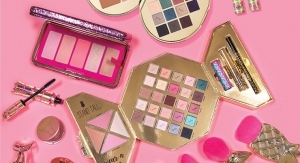 Makeup trends were abundant with lots of suppliers promoting glittery looks, as well as color cosmetics that promised long-wearing capabilities and highly pigmented, bold color. At the other end of the spectrum, “natural” looks are always “in,” as brands seek to bring to market cosmetic products that feel weightless and look “invisible” on the skin. 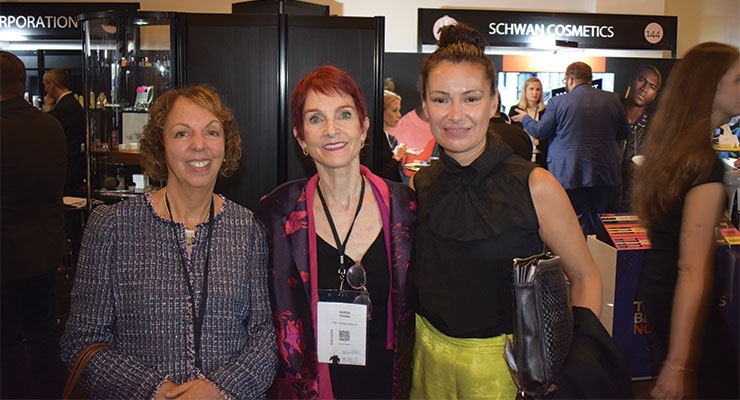 World Wide Packaging (WWP) addressed current trends, and presented three new makeup collections at the show—Play, Primp, and Pose. WWP’s team also emphasized its focus on providing full turnkey solutions, including full ranges. 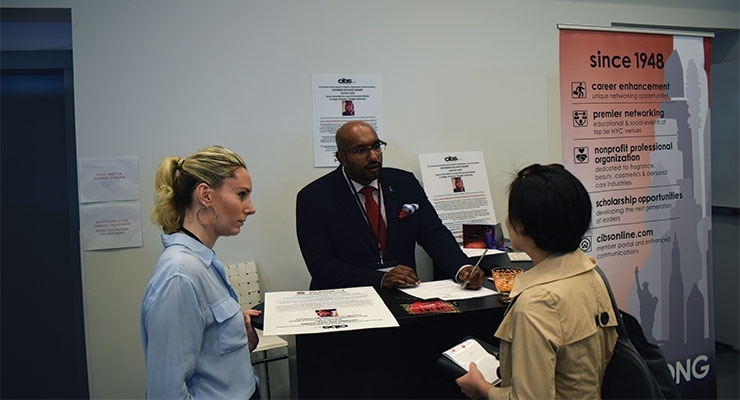 The supplier’s booth was set up with a vanity area, and guests were encouraged to sit down to try the new products. The three new collections are each based on distinct makeup looks. Play includes high-glitter, high-payoff, long-lasting products that are easy to apply and feel “refreshing” on the skin. The line includes fun stamps for DIY tattoos. Primp is a collection of products designed to enhance a user’s best features, and create fresh, natural looks. The products are cruelty-free, vegan, talc-free and gluten-free. They are also good for the skin and the environment, with eco-friendly packaging. Pose is a collection that seems ideal for beauty influencers and their followers, who like to experiment with different looks—and then take a selfie. The product assortment allows the user to create a variety of different looks, including a number of brow looks. The cruelty-free formulations are long-wearing and highly pigmented, and deliver a high-payoff. Taimeng Beauty featured a wide assortment of novelties at its booth. Lip products were in fun shapes, including food and animals. 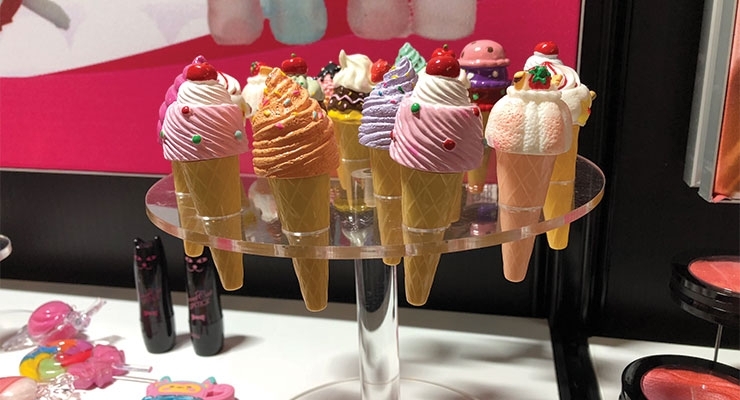 Lip balms packaged as ice cream cones were especially cute. Just twist off the top to reveal the applicator wand. 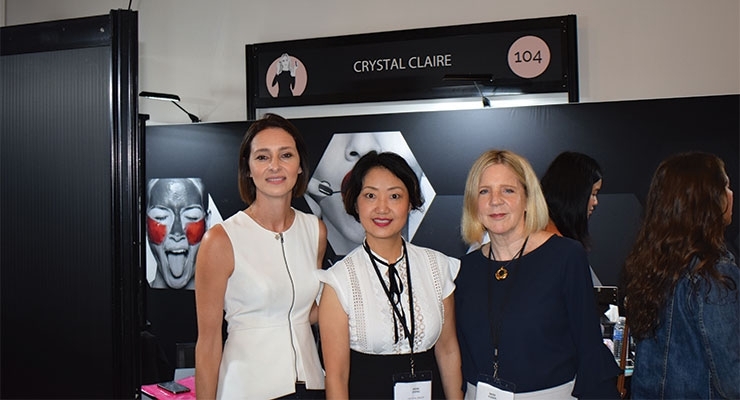 Crystal Claire Cosmetics’ team spoke to visitors about its new factory near Toronto that opened this year. Being located in Canada, they said, offers an advantage with regard to tariffs. The company provides all types of contract manufacturing services to beauty customers in the areas of packaging, manufacturing and formulations. Crystal Claire featured a range of multi-use formulations, for use on the face, eyes, and lips—and can produce cosmetics in creative shapes. The company’s expertise lies in baked powders. They use the latest technology to produce streak-free, long-wearing baked formulations, which are fully customizable for a complete color cosmetics line. The ultra-blendable powder formulas can be used wet or dry, and provide “intense color payoff,” the supplier says. 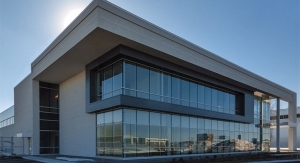 Faber-Castell, known for its cosmetic pencils, had news to reveal during the show—the opening of its new U.S. plant. The supplier’s popular cosmetic pencils will be the first products manufactured in the new facility. 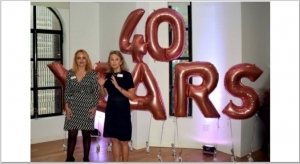 Faber-Castell is celebrating its 40th anniversary this year, and flew its team in from its headquarters in Germany to meet with visitors at the show, during which Countess Mary von Faber-Castell, president, made the big announcement. 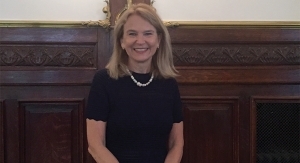 She explained that since its customer base in the U.S. is growing, the company needed a more efficient local supply chain in the U.S. to meet demands. Several suppliers emphasized their design capabilities, featuring a few interesting packaging options. One that caught our eye was Schwan Cosmetics’ Treasure Collection, which includes “the world’s first cosmetic pencil with a ceramic case.” Also in the collection is Schwan’s “InLiner,” a new liquid eyeliner with an innovative wheel applicator. The ceramic material used in the customized range offers a unique, cool surface and an elegant look, according to Schwan’s team. 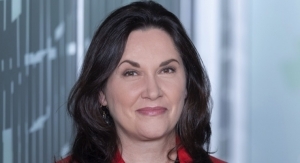 Dagmar Chlosta, chief market officer, Schwan Cosmetics, says, “With the Treasure Collection, we are offering cosmetic and even non-industry brands an absolutely high-quality, customized product for their premium segment. The customer can work with us to create their very own individual product design, tailored to their brand and needs. The shape of the cosmetic pencil can also be changed as desired. Asquan Group had highlights from its Autumn/Winter 2019 collection on display. 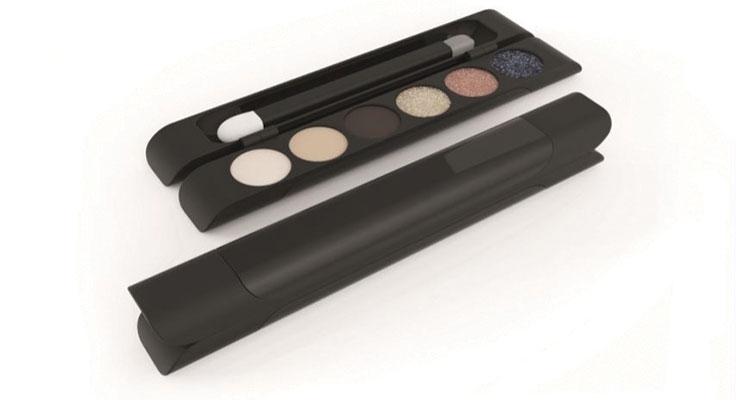 Henri Tinchant, president, Asquan Group, showed Beauty Packaging a new innovative and aesthetically-pleasing palette they had just developed, called the Dark Art Calligraphy Kit. The stylized mini eye palette features a professional double-ended eye brush that fits into the recess. It is held in place by molded ribs. Magnet closures are hidden beneath the lid and base inserts. Roberts Beauty featured a number of new packaging options, for different types of beauty products. 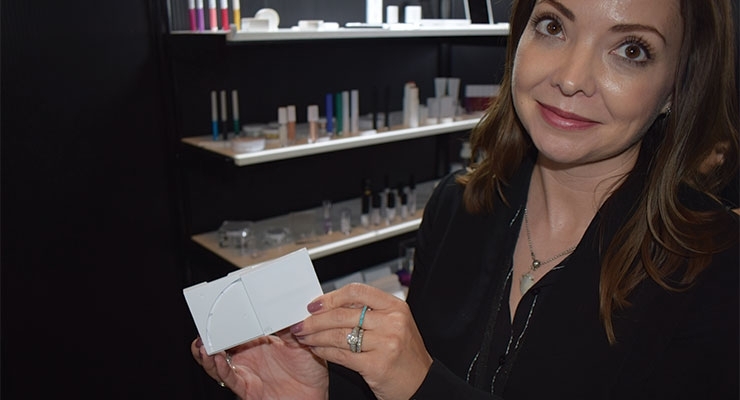 Kristen O’Connell, director of marketing and product development, Roberts Beauty, showed Beauty Packaging one stand-out compact—the Track Pack. The multi-level compact is designed to rotate on a track, rather than a hinge, which makes it feel extra sturdy. As far as pens, the supplier’s ratchet pens can be repelled as you simply twist down on the end. They’re available in round or square designs. 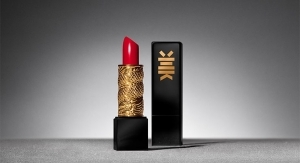 Lumson featured an array of options for lipstick and color cosmetics. 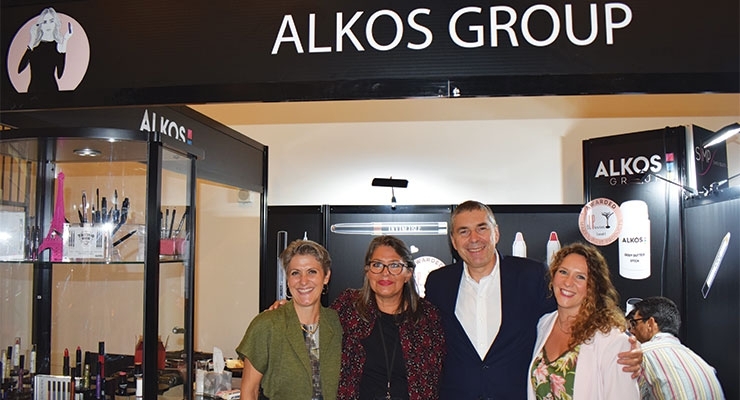 The Italian supplier says their expertise is expanding through their latest investments and expansion, where they see opportunities in developing complimentary color products using the latest innovations and technologies. 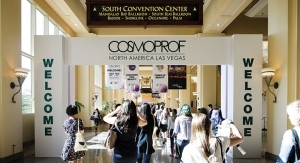 Several suppliers emphasized interesting decorating techniques, designed to help a beauty brand attract attention. 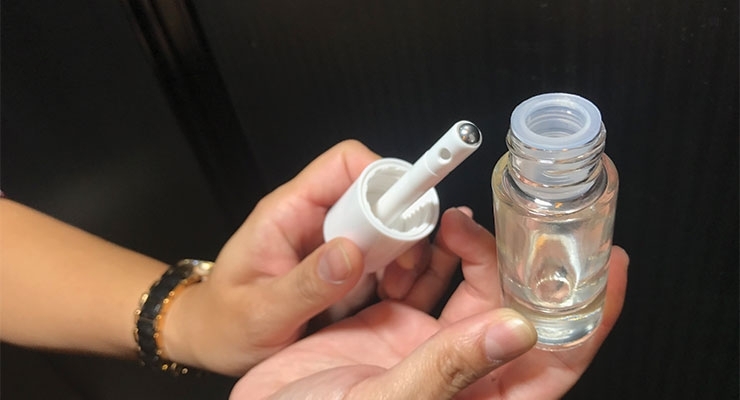 There were also new options for skincare and hair care products, including many airless solutions, as well as tubes—and more. 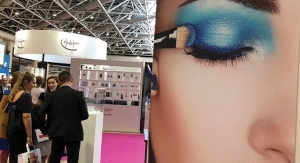 Strand Cosmetics Europe featured a variety of makeup with skincare benefits. Strand’s new Hollywood Complexion delivers high-coverage and intense color, in eight shades; Fantastic Concealer contains 20% more pigments and hyaluronic acid to cover dark circles and minimize wrinkles; and Goldenage Foundation moisturizes and minimizes wrinkles—and contains ingredients to improve skin’s firmness. J-Cop is another supplier that promoted its full turnkey capabilities. The company manufactures its packaging in Koreand had highlighted some innovative decorating techniques. The variety of options included a snowflake decoration, usually done on glass, on small plastic components. It is produced using a semi-automatic manufacturing process—done half by machine, half by hand. “Space Edition” is J-Cop’s attractive sparkle coating, which uses five different colors of sparkle, rather than the traditional two, for a more pronounced hologram effect. 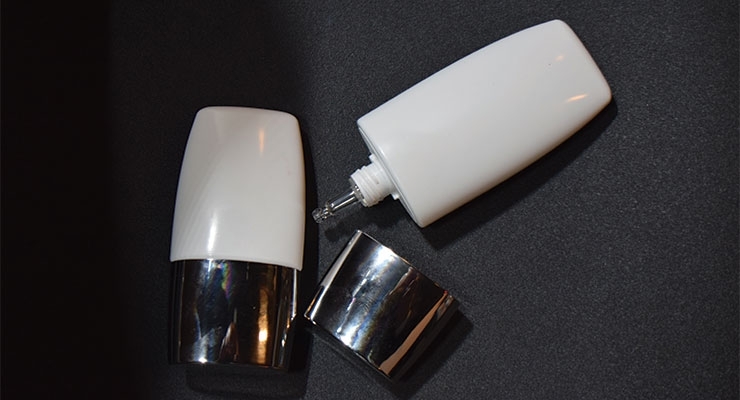 J-Cop’s Marble series blends two different masterbatches prior to the plastic injection process so no two are exactly alike. Geka (see video at BeautyPackaging.com) presented new mascara and lipstick collections at the show, all decorated beautifully in luxe finishes and decorations. Packages can be turnkey or custom, and are available for brands from Indie to prestige. 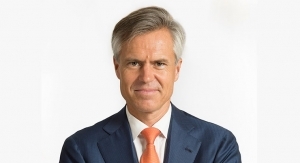 Arnaud Brilland, vice president sales, America, Geka, told Beauty Packaging in this video that the company is focusing more on the prestige market. “Our advanced decorating capabilities enhance the look of a complex metal sleeve—and all are consistent in quality,” says Brilland. Yonwoo/PKG Group offered a number of new products for skincare. The supplier’s Oval Clear Drop Tottle is a dropper tottle. Just squeeze and use; and it recovers. The tottle dropper is available in two sizes, and can be produced with a clear cap, which leaves the dropper visible. It is ideal for oils, makeup, SPF products and more. Yoowoo/PKG Group’s team was also promoting its Ice Tube, and had visitors stopping to take a look—and marvel at the brilliant design. The tube features removable parts, and offers brands so many options for developing unique products. Store the top part in the freezer, and any ordinary cream, lotion or gel will be “chilled” as it passes through the cap while dispensing. It can feel like a mini spa treatment—anytime, anywhere. 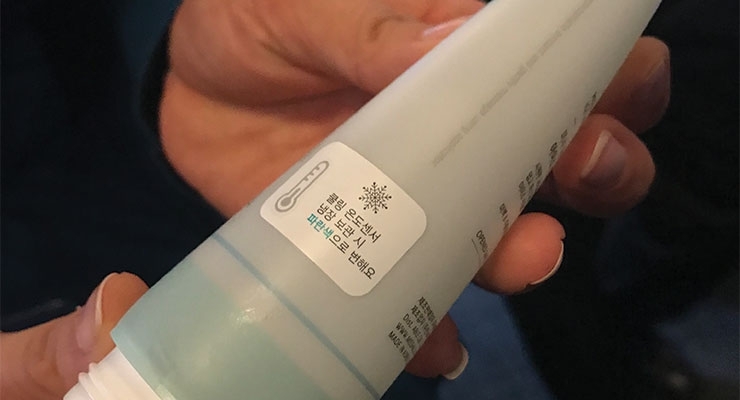 K-beauty brand Missha uses the supplier’s Ice Tube for its skin cream developed to soothe “hot skin and flare-ups.” The product is called “Aqua Peptide Ice Soothing Ball,” named for the package’s ball applicator. Not sold in U.S. stores, the supplier purchased the product to show visitors how the cap can be removed for storing in the freezer—and, the brand added a cold sensor on the tube, advising users to store it in the refrigerator before using. Another supplier focusing on skincare options was Ding Yih. 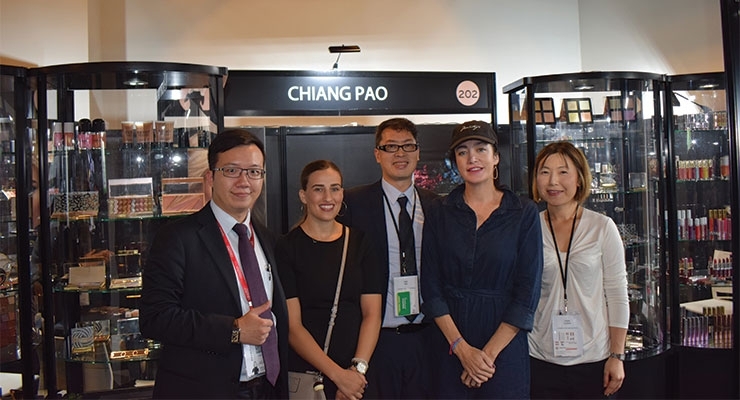 The team showed visitors a variety of luxe packaging options for skincare, in both glass and plastic. Bottles featured silver ball-shaped applicators, designed to roll along the skin for a skincare or fragrance product. It might be ideal to roll on the face to apply an eye cream, for example. Ding Yih also featured several options for makeup, including new designs for lip gloss with doe foot applicators. 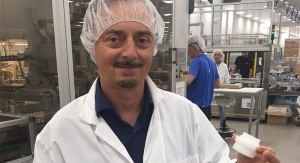 The company says it controls the entire production process, from R&D to mold-making and manufacturing. Decorating options include silkscreen printing, hot stamping, and label transfer printing. 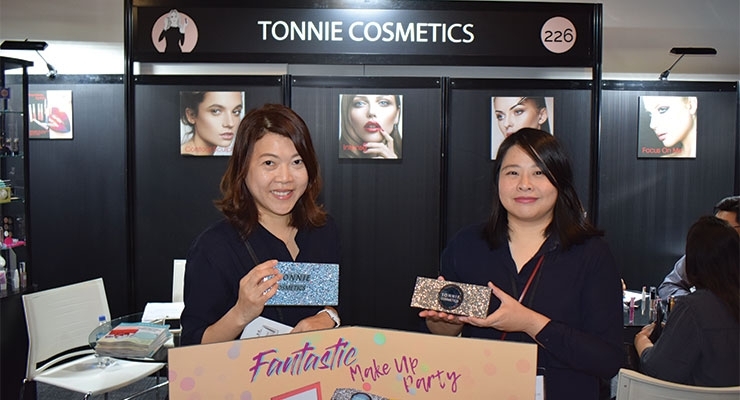 Glitter and paper compacts—two of the trends from the show—came together at Tonnie Cosmetics, where a paper compact featured a glitter finish on the cover. Glitter was also a focus at Zhejiang Jinsheng, which had all types of cosmetic packaging on display—as well as a new glitter decoration. Caps and lipstick cases were sparkling, in silver and gold. The company is headquartered in Shaoxing, Zhejiang, and has an 800,000 sq.ft. factory. The team at Zhejiang Jinsheng says its manufacturing process “adheres to the path of sustainable development.” Environmental impacts are minimized in various ways during production. The numerous skincare options spotted at the show included a multitude of masks, and options for sampling all types of beauty products. Livcer (see video at BeautyPackaging.com) featured several innovative sampling formats, including the Teint Tamis (see Livcer's Teint Tamis in this video), a mini cushion compact with liquid foundation. Rather than using a sponge, as in previous formats, this cushion uses a cloth sieve; the bulk, cushion and applicator are all included in one product—just like in the full-size version. 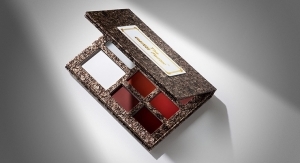 Another sampler, a complete flat pack compact, allows the consumer to see the color without first opening the package. It can be finished with a foil or a shade of foundation, and then inserted into a magazine. 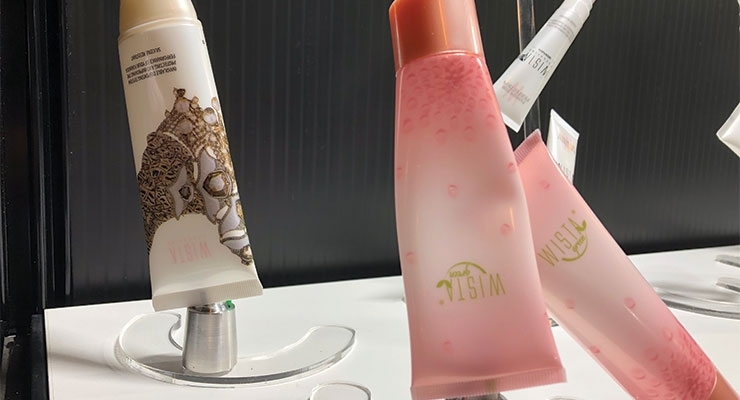 Perry showed Beauty Packaging many new products, including a range of exciting new masks, in different colors and styles, each providing different types of skin benefits. Some incorporated trendy ingredients, such as charcoal-infused and hydrogels. Whether glittered or patterned, the safety of the ingredients is a top concern, among brands and consumers, and Taiki ensures its products’ safety. The supplier touts a reliable supply chain, and delivers masks to its brand customers in 60-90 days. Sustainable and eco-friendly packaging options were plentiful, as always. 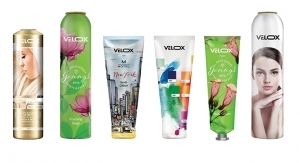 Wista Packaging Group was one supplier that focused on its “green” offerings. Wista is a 23-year-old company based in Brazil, and offered sugarcane-based airless application systems using green PE materials and, optionally, petrol resin. 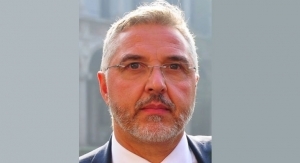 Flavio Unikowsky, international business manager, Wista, explained their airless application system, which launched this year. It is geared toward natural brands, with natural products, that need a “green” package that will protect an air-sensitive formula. Wista’s airless Sage package features a one-way shut-off valve, and dispenses various viscosities with a number of applicators. The supplier produces everything from the mold to the finished package. Various attractive decorative capabilities are available including 7-color deco with relief, for textured designs. Makeup applicators and brushes are always a big part of the show, and Beauty Yaurient was one supplier with a large variety to keep visitors engaged at its booth. The supplier’s assortment of cosmetics accessories includes brushes, applicators and sponges. Beauty Yaurient offers many of its synthetic hair makeup brushes in different, eye-catching shapes. 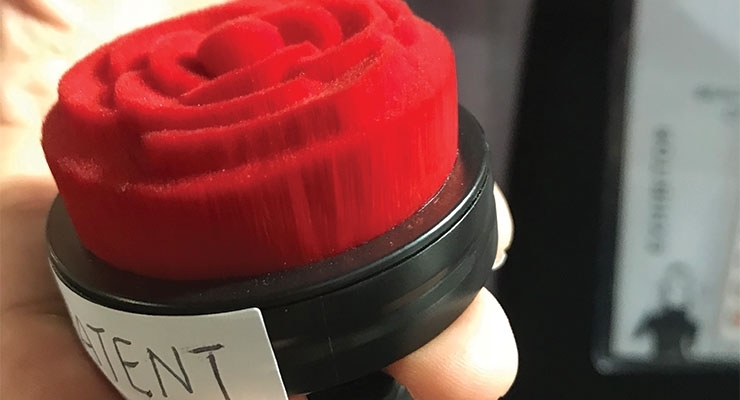 One red brush was cut into a rose, and is designed to apply powder or foundation makeup. The supplier’s brushes can be combined with different handles, in a variety of colors and finishing options. Many of the handles are also designed to double as a base, which allows the brush to stand up on a counter. The company has its own factory in Shenzhen, China, and has been developing cosmetic accessories for 15 years. Secondary packaging, including folding cartons and boxes, are just as important as what’s inside. Although not a big part of the show, we found a few suppliers that specialized in cartons and boxes, including Balance Packaging. “Influencer packaging is a big trend,” the team said. 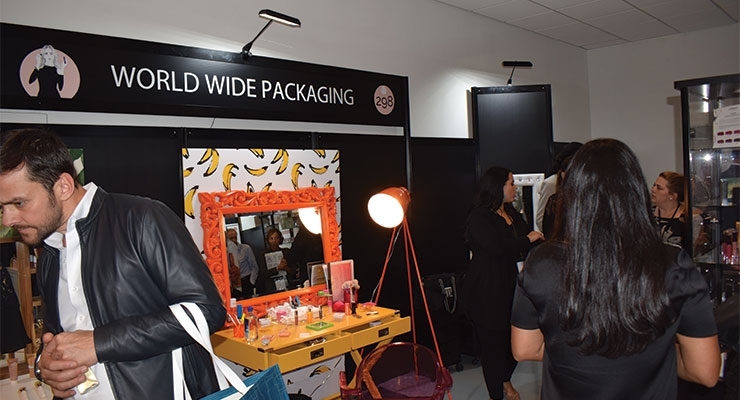 “We’re fulfilling lots of requests from brands to produce much more elaborate boxes for this purpose.” At its booth, the supplier featured a multitude of extra-large, and over-the-top boxes on display. Many would be ideal for holiday gift sets. Some of its extra-large sizes were designed to help brands make an impression when they send new products to Influencers. The team at Balance explained how a variety of finishing techniques are used to make sure these boxes look extra-special, so they get noticed—and perhaps help the products get good reviews on IG, or at least a good “unboxing” video on YouTube. 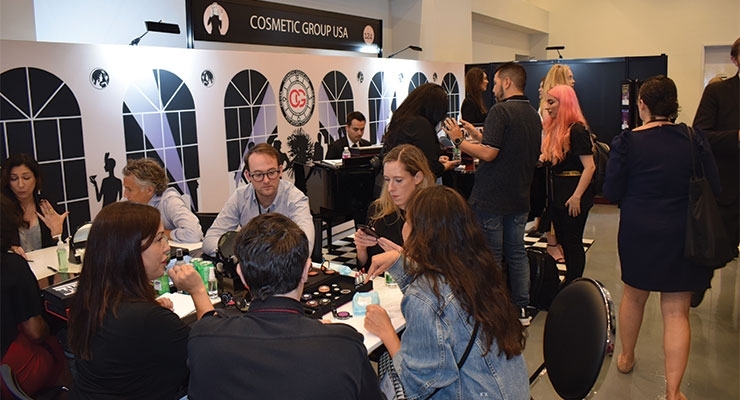 The next edition of MakeUp in NewYork will take place September 11-12, 2019—save the date. Next year’s show will also feature a special section, Korea. Stay tuned for details. 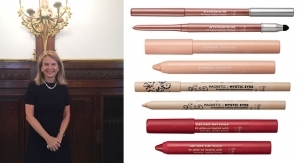 Faber-Castell Cosmetics to Open Plant in the U.S.